reactionaries and traitors of one’s own nationality. they will then carry through the socialist revolution and destroy all the exploring classes and system. Addis Abeba:-Those children who speak Amharic will be forced to write 100 time on the blackboard saying "I am Stupid" in the class in front of other students. 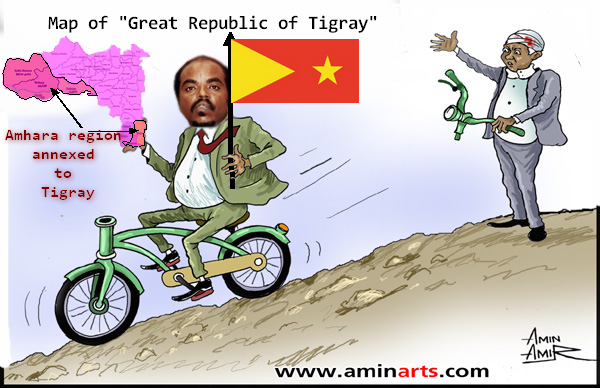 Map of Woyane/TPLF "Greater Republic of Tigray"